This weekend I provided my my mobile disco in Campbeltown for a 60th birthday at The Argyll Arms Hotel. 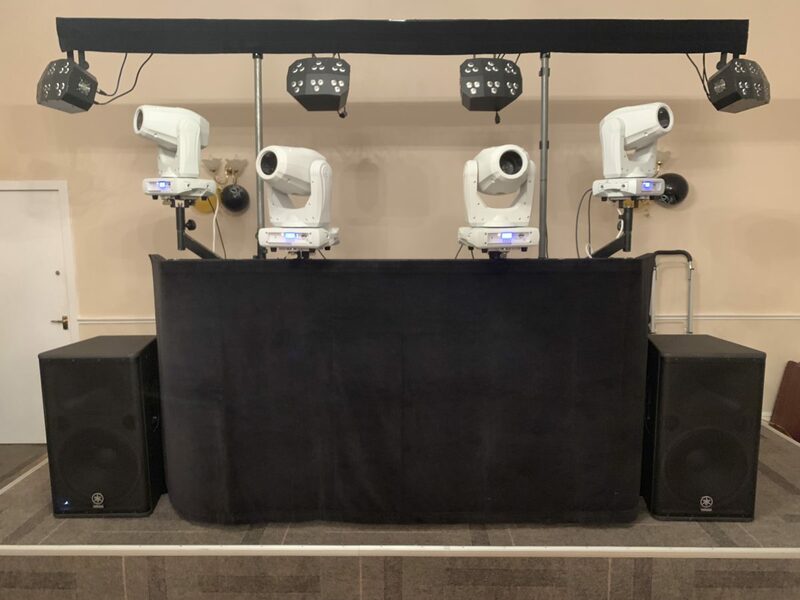 I have been to Campbeltown on several occasions over the years, usually to be the wedding Dj but on this occasion I was the mobile Dj at a birthday party. Cambeltown is a long distance for me to drive to as it’s all the way down to the very bottom of The Mull Of Kintyre but as a mobile Dj going to Campbeltown is no problem. 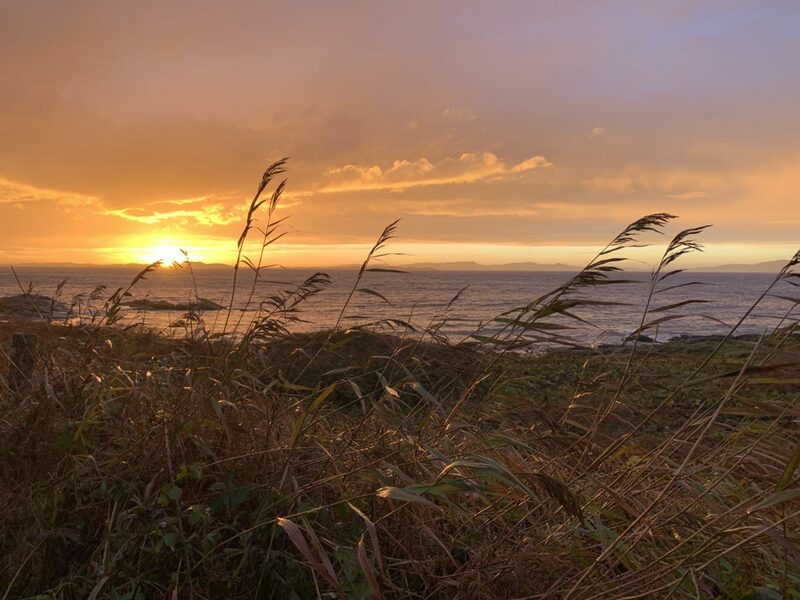 It’s a very beautiful drive through some of Scotland’s most stunning countryside through mountains and alongside many lochs and then stunning sandy beaches down the Mull of Kintyre. 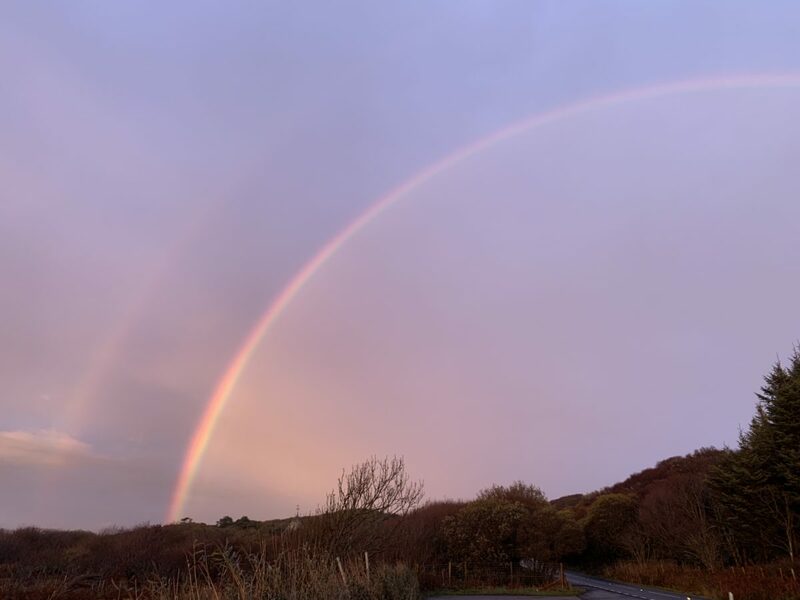 On this occasion I had the good luck to see a double rainbow and I stopped to take these beautiful pictures of it plus the stunning golden sunset. 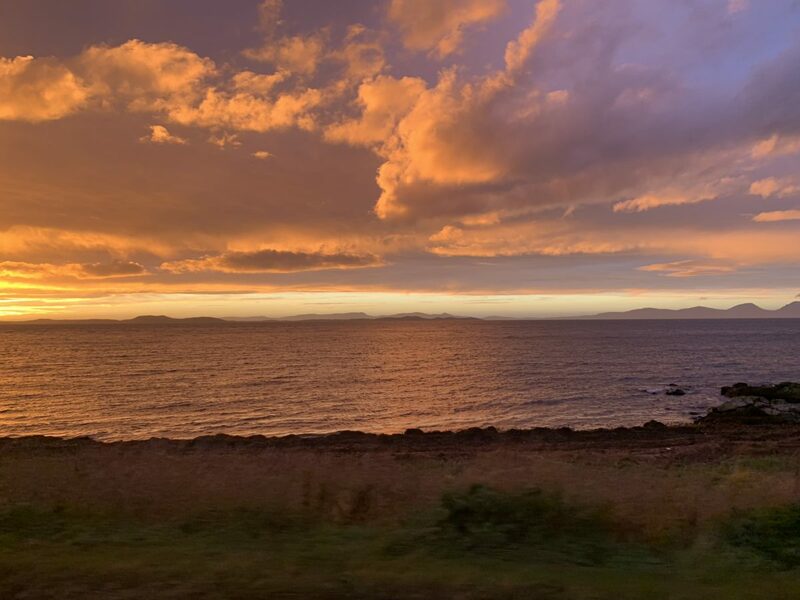 A stunning sunset on the way to my mobile disco in Campbeltown. 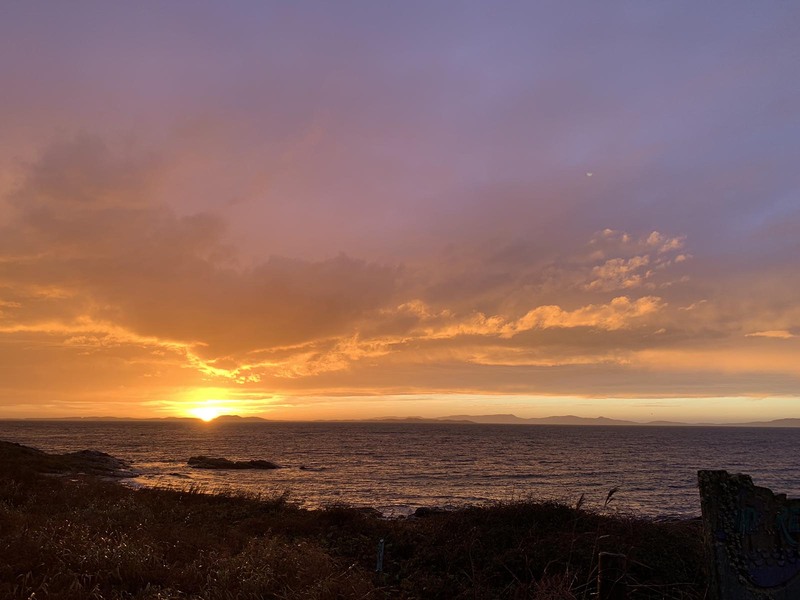 What a beautiful sunset on the Mull Of Kintyre on my way to do a mobile disco in Campbeltown. A stunning sunset on my way to do a mobile disco in Campbeltown. A double rainbow on my way to my mobile disco in Campbeltown. The Argyll Hotel is right in the middle of Campbeltown and has a fairly large function room and adjacent bar that I would say has a capacity of approximately 150 people. With a car park at the rear of the hotel it isn’t the easiest venue to bring equipment into due to several steps and 3 corridors to navigate. We still managed to get all our equipment in though. Here’s a photo of my mobile disco in the function room at The Argyll Arms in Campbeltown. My mobile disco at The Argyll Hotel in Campbeltown. If your looking for a wedding Dj in Campbeltown or anywhere on The Mull Of Kintyre I’m one of a few Djs who will travel all that way and then back again to entertain you. I love Scotland’s beautiful countryside and the views from rest and be thankful along Loch Fyne and Loch Long through Inveraray and Lochgilphead are stunning. As I travelled along the road I was telling Joe my roadie stories about discos that I had done in various venues all the way to Campbeltown. I never forget a place I’ve been the mobile Dj at. I can remember venues I’ve been to over 40 years ago! Being a wedding Dj and mobile Dj means I get to travel all over Scotland and Northern England. It’s one reason I love my job so much! To book me as your wedding Dj or mobile dj for a party anywhere in Scotland or Northern England please fill in my contact form or give me a call on 07472 287 151. 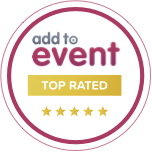 I can also provide you with dance floor hire, Photobooth hire, wedding decor, lighting and special effects in Campbeltown. If the £1,000 deal has sparked your imagination please read this blog post. It’s all about a fairytale wedding at Drumtochty Castle near Auchenblae in Aberdeenshire. 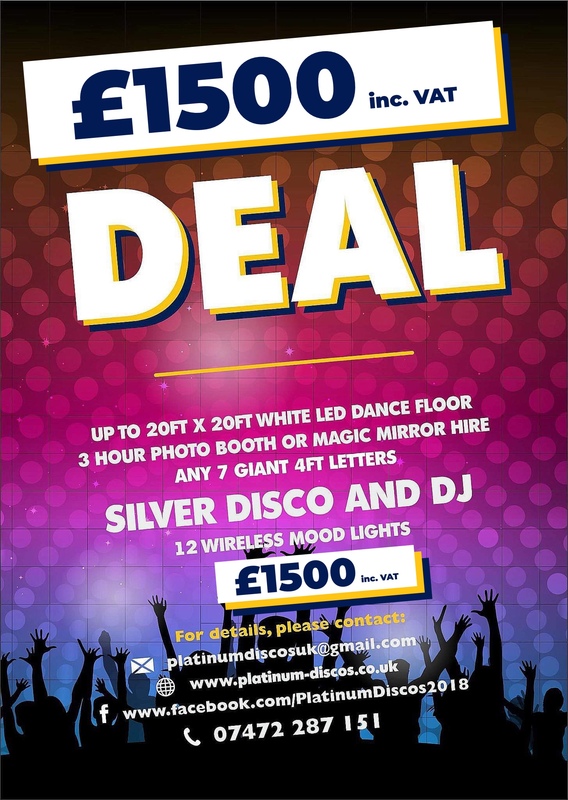 Kylie and Peter hired me to be their Dj with my mobile disco and ordered my £1,000 deal. This blog post tells you all about it and there’s a lovely review from Kylie in it. If you would like to book my mobile discofor your event in Campbeltown or anywhere in Scotland please get in touch. 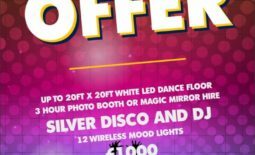 Please have a look around our website and if you need any help or advice about mobile discos please feel free to call me on 07472 287 151.